I never had a big interest in “crafts” shall we say, or been particularly good at coming up with ideas for making things. But I think that moving to Denmark, and being surrounded by people who have literally grown up making everything from decorations to confectionery and costumes, I must be somehow absorbing some of the “crafting” spirit. This week I decided that our witch hazel bush was in need of a trim (if we want anything to grow in the garden next year!). I ventured out into the snow, disturbed our feathered visitors and clipped back the overgrown shrub. I have seen people use the curly branches for various things before and I figured I could make some sort of an alternative Christmas tree from them. Cheap (free), no waste, and home made, perfect! 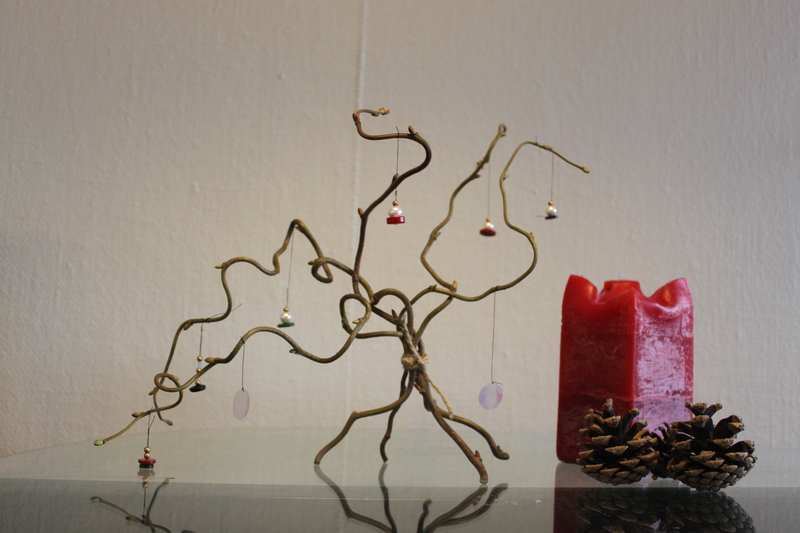 I started small and set about sorting the smaller branches and tying them together in a “tree like” fashion. There were some balance issues (and still are!) but I managed to get my creation to remain standing unsupported. After that I made a larger version which can provide shelter for the presents awaiting delivery! While I was looking for a suitable piece of string to secure the “tree” i stumbled across a rather large button collection I have been carrying around the world for some time. 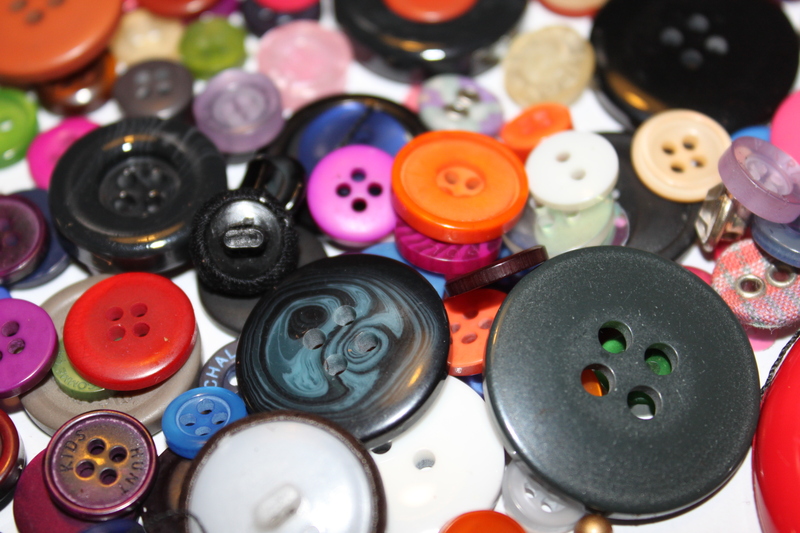 A well traveled button collection finds an alternative use! This is when the creative juices really started to flow! I decided I could try and make some miniature decorations out of buttons and some stray beads I had collected from broken bracelets. Why not give them a second lease of life, if somewhat alternative! Here are some of the ideas I came up with. I am quite pleased that without buying anything and simply recycling some garden waste and things found at home, I came up with some decorations, which I’m pretty sure, no one else has at home! Very minamilist chic! I have a few homemade items on the tree too. A few made by you and Rasmus’ fair hand 🙂 Crafting is great cant wait to see this PAIR of socks your are making.